Dinnertime in the Jerome household might feel remarkably like dinner with your own family – everyone loudly vying to share their news of the day, a teenager who storms out of the room, and at least one kid hiding their liver under the mashed potatoes. 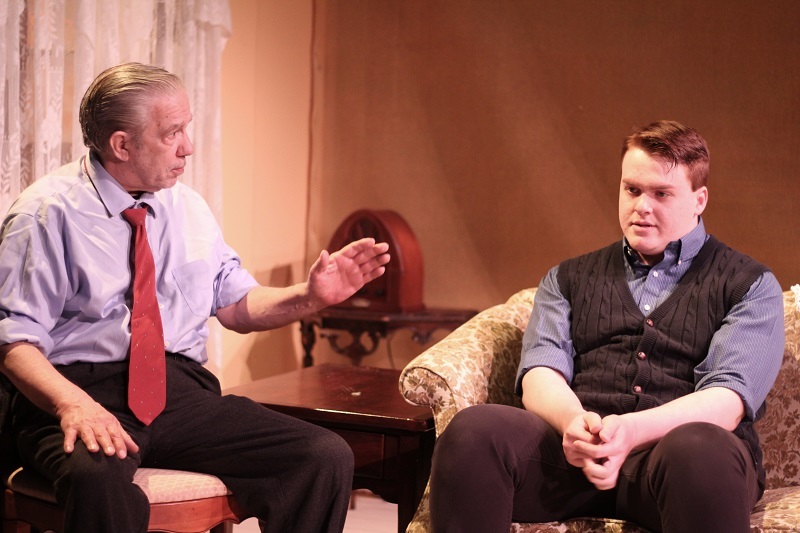 The Newtowne Players’ current production of “Brighton Beach Memoirs,” which runs March 29 through April 14, is hilarious and poignant … and definitely rings familiar. We witness it all through the eyes of wisecracking 15-year-old Eugene Morris Jerome – aspiring writer, lover of baseball, and newly minted pretty girl enthusiast. Neil Simon’s semi-autobiographical play takes place in 1937, in a Brooklyn neighborhood heavily populated by immigrants. The Jerome children are first-generation Americans with typical teenage concerns. But trouble is brewing in Europe, especially for Jews, and the specter of additional family members showing up at the Jerome’s doorstep pervades even the most mundane aspects of their lives. The one constant is the closeness of the family. These folks show their love for each other in ways that only a tight-knit clan can. Cousin Laurie gleefully ribs her older sister Nora about not being too bright. Older brother Stanley gives Eugene some cringe-worthy advice about the female anatomy. Matriarch Kate tries – naggingly so – to instill confidence in her younger sister Blanche. No matter how cramped their quarters are or how hard it is to stretch a dollar to get food on the table, this sense of devotion clearly extends to family from afar. Returning audience members may be surprised to see the interior of a two-story house on NTP’s very low-ceilinged stage. Scenic designer Steve Pugh has ingeniously created a set in which the entire playing space – inside, outside, upstairs, and downstairs – is onstage at all times. Lighting designer Jay McKulka has created area lighting that illuminates the upstairs bedrooms from behind sheer fabric; when the lights are down, the bedrooms are no longer visible. Adding authenticity are the hardwood floors painted by Linda Sanborn, plus period props gathered and crafted by Rosann Stamper, Stephanie Taubert, and Wade Thompson. Kristina Faison’s historically accurate costumes also highlight the traits of each character. Finding a way to portray the hilarious as well as the darker aspects of each character with respect and consistency demands top-notch acting, and the cast for this production rises to the challenge. 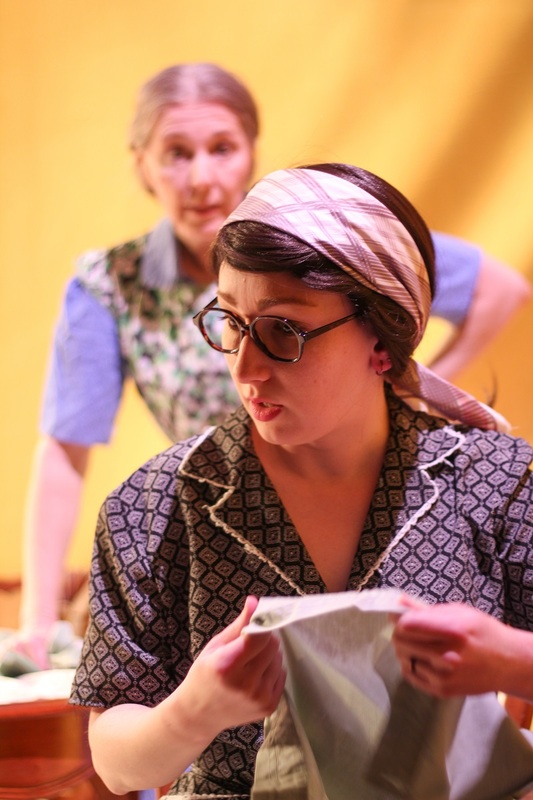 Newtowne Players veteran Aubrey Joyce returns to the stage as Blanche, Eugene’s overwhelmed widow aunt who, along with her two daughters, lives in the Jerome household, financially dependent on her older sister and her sister’s husband. The cast also includes Luke Rowe as Stanley, Sarah Pollard as Nora, and Sara Brock as Laurie. Southern Maryland acting favorites Jeanne Louise and Randy Tusing round out the cast as the parents, Kate and Jack Jerome, both bringing a wry wisdom to their characters. Tim Joyce stage-manages, and Kenny Faison assistant directs. 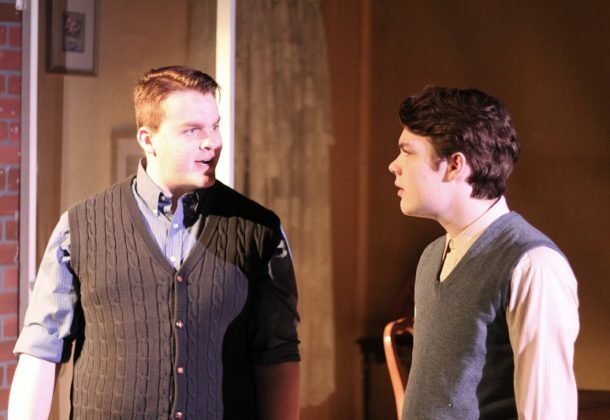 “Brighton Beach Memoirs” will elicit knowing nods, perhaps a few tears, and definitely laughter. “The show has a lot of dramatic moments, which all end up being very emotionally satisfying. More importantly, you’ll bust a gut laughing,” Director Jayce says. You might even feel compelled to call your mother. She knew all along that you weren’t eating that liver. “Brighton Beach Memoirs” runs March 29 through April 14, with show times on Thursdays to Saturdays at 8 pm and Sunday matinees at 3:30 pm. Tickets are available at The Newtowne Players website or by calling 301-737-5447.